Hannah Elise: Gehrke girls : portraits! Recently I got to do some pictures for these girls -- aren't they gorgeous?! I'm pretty sure I could photograph sisters all day - every day and never get tired of it. Can't wait for all the beautiful people and autumn colors I will get to capture over the next couple months!! Cheyenne just got her braces off, which was the main reason their mom wanted to do this session -- such a fun idea!! hope you all have a beautiful weekend!! Oh, man! These photos are so fun! Makes me want to get some sisters together for a photo shoot!! 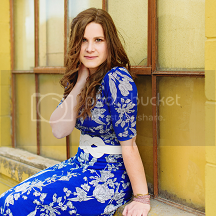 :) I really like the last two with the white door + ivy! I also like the B+W shots and the very first photo of the three sisters. Thanks for sharing these beautiful frames!